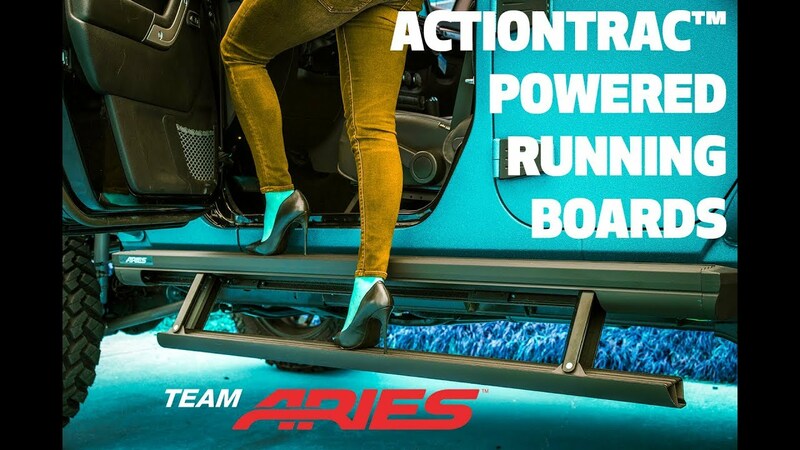 ActionTrac™ powered running boards are the next generation of automatic, power running boards. They are unique from other power side steps because they feature a step-within-a-step™ design -- two steps in one. They also feature a no-splice / no-drill install on most models. AscentSteps™ are an all-new addition to our running board line-up. These elegant, high-end boards are geared toward modern trucks, featuring a sleek teardrop tube profile, seamlessly blended end caps and highly unique, dual-constructed step pads. Join us at one of the largest Jeep festivals in the United States – the place where it all started, Butler County, PA! Come enjoy the mud pits, obstacle courses and all the decked out Jeeps. Come to the beaches of Wildwood, New Jersey! 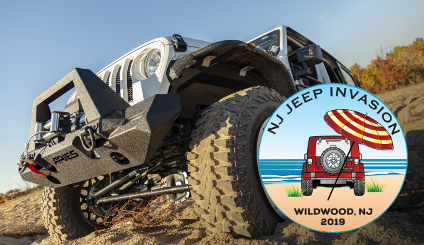 This three-day Jeep event is full of sand, ocean air, rides, attractions and offroad fun in the form of an exclusive beach obstacle course. Saving money on the hottest ARIES products just got easier. For a limited time, get a rebate when you purchase select ARIES products. Just buy, send in the rebate form and get your reward! 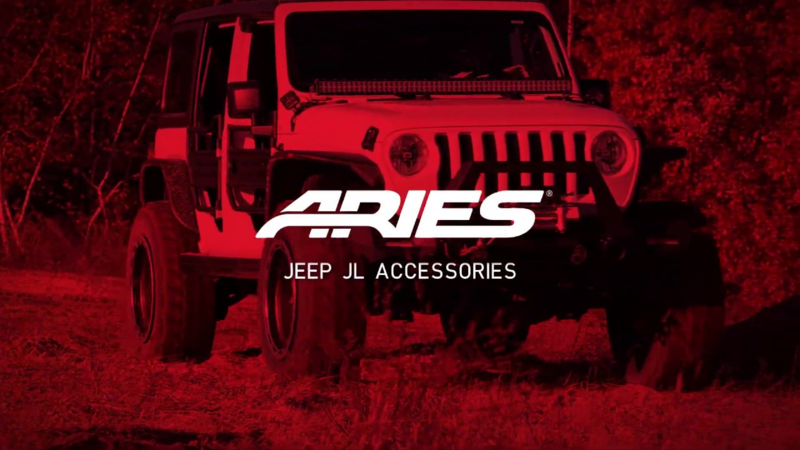 Isaac Ronquillo talks about exciting new ARIES Jeep JL accessories at the 2018 SEMA Show in Las Vegas. 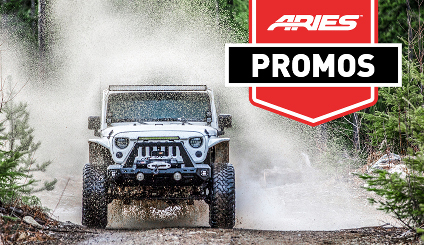 At the show, ARIES showcased a 2018 Jeep Wrangler JL with a unique TrailChaser® bumper with LED lights, Jeep fender flares, inner fender liners, TrailCrusher® bumper, ActionTrac™ powered running boards, a heavy-duty spare tire carrier, hood light brackets, Rocker Steps and aluminum tube doors. 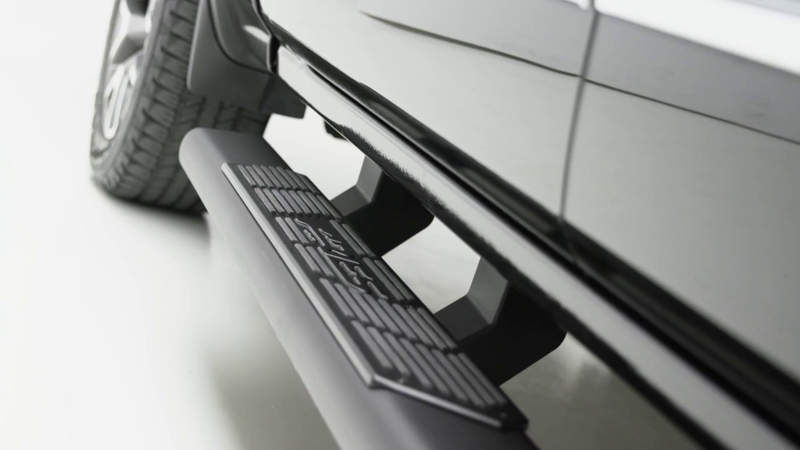 AscentSteps™ are a high-end running board option for modern trucks. They feature a sleek, teardrop profile with seamlessly blended ends. They also have highly unique step pads, featuring a blend of poly and stainless steel. AscentStep™ running boards install with no drilling required on all applications, using our VersaTrac™ mounting system. 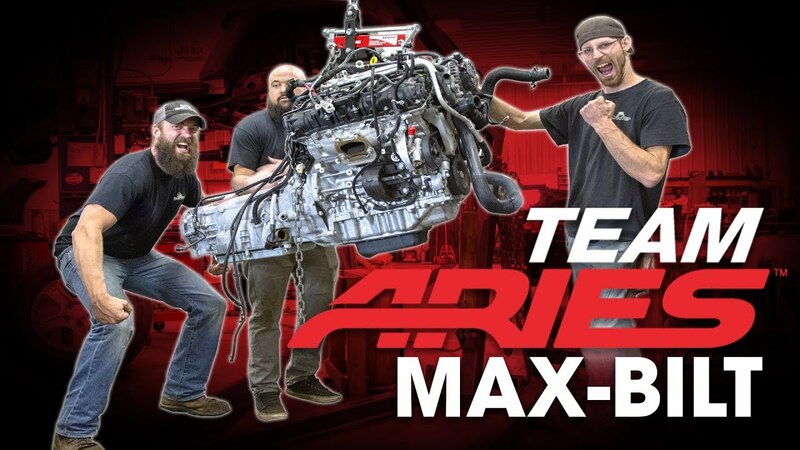 The newest Team ARIES builder, Max-Bilt, is all about Jeeps. They do everything from total Jeep restorations to fabricating custom parts. They got their start in 2008, restoring an '85 CJ-7, and since then, they've never looked back. Mark Testoni, the founder of NS2 Serves, saw the crucial need to help veterans transition from "boots to suits". In 2014 he and his team began this mission, helping hundreds so far to have an easier transition. 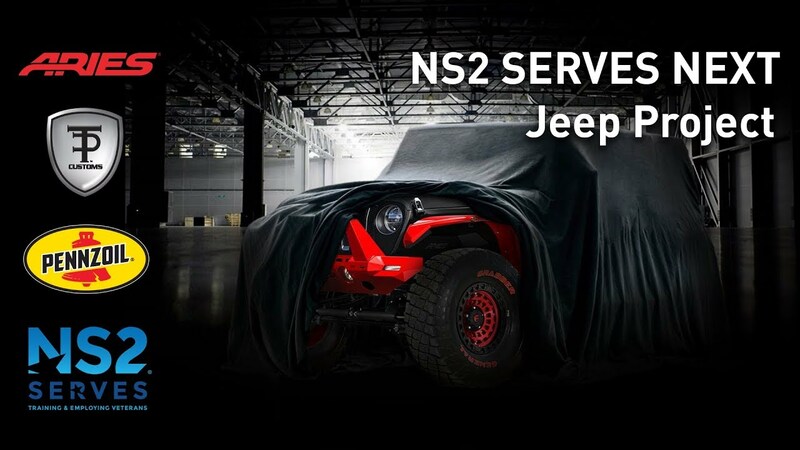 When the NS2 Serves story was heard, companies such as Shell Oil, Tommy Pike Customs and ARIES began plans for a Jeep build that would help spread the word. At ARIES we believe in pushing the limits. That is why we debuted our ActionTrac™ powered running boards at the 2018 Easter Jeep Safari in Moab, Utah. ActionTrac™ is the next generation of power running boards. 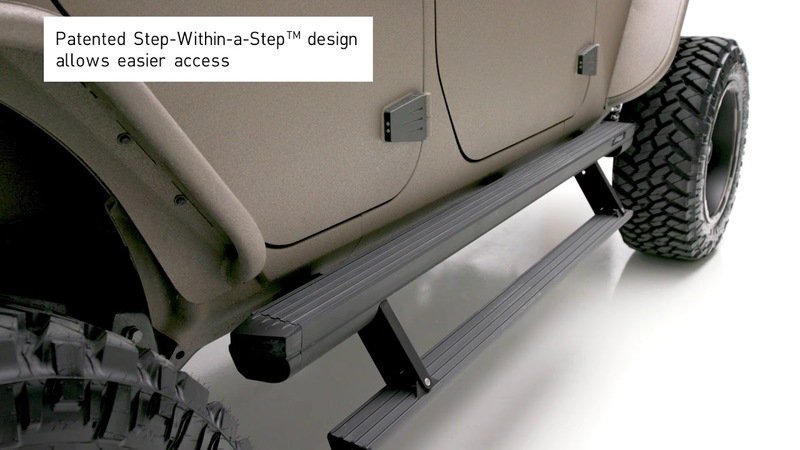 These side steps are unique from other power step designs because they feature a patented step-within-a-step™. 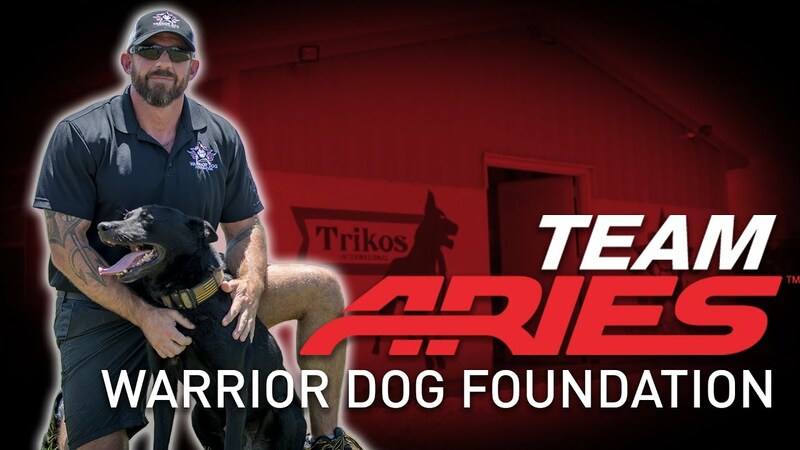 The Warrior Dog Foundation was founded by Mike Ritland as a place for retirement and rehabilitation of retired Warrior K9s slated to be euthanized. They provide a rare sanctuary of last resort. As a result, the retired K9s often stay with Warrior Dog for many years, and some live out their lives with the organization. 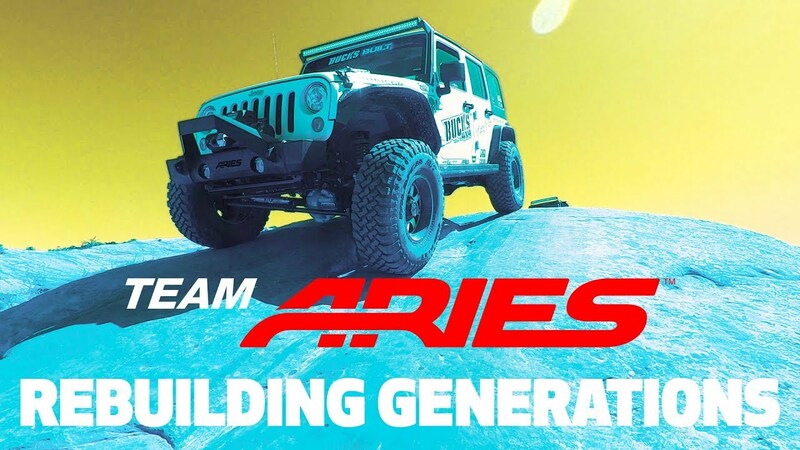 ARIES is very proud and thankful to have Rebuilding Generations as a Team ARIES Ambassador and Bucks 4x4 as a Team ARIES Pro Builder member. Located in Boise, Idaho, Bucks 4x4 has been around for 50 years, and they know a thing or two about Jeeps. 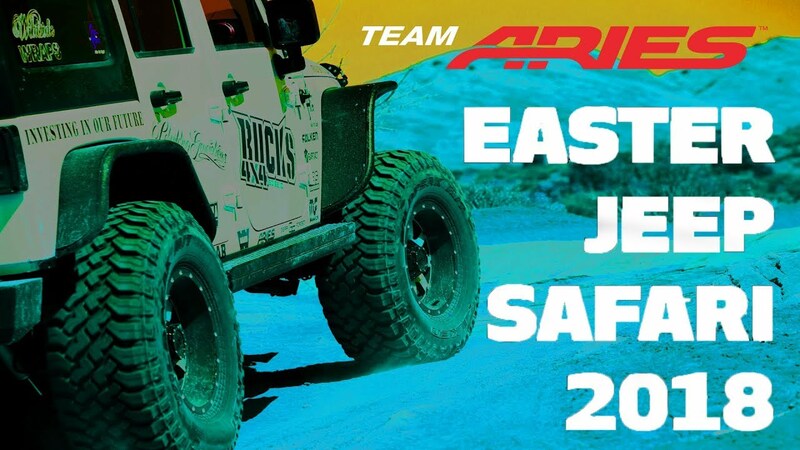 The Easter Jeep Safari is a nine-day, annual event hosted by the Red Rock 4-Wheelers Club. Jeeps and 4-wheelers come from all over to defy the unforgiving terrain of the Moab, Utah desert. 2018 marked the 52nd anniversary of the anticipated event. 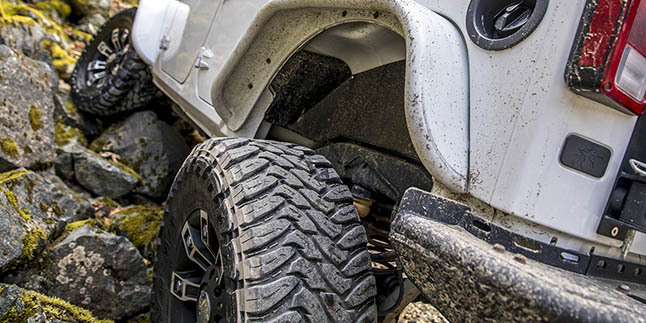 The patented step-within-a-step™ design of ActionTrac™ powered running boards offers easier access, especially on larger, lifted vehicles, like the Jeep Wrangler JK Unlimited. The boards are also equipped with a rugged powder-coated aluminum construction. 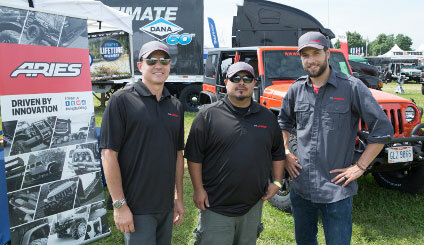 Martin from CURT Group talks about the ARIES products outfitted on a 2017 Jeep Wrangler JK for the 2018 Unlimited Off-Road Show. 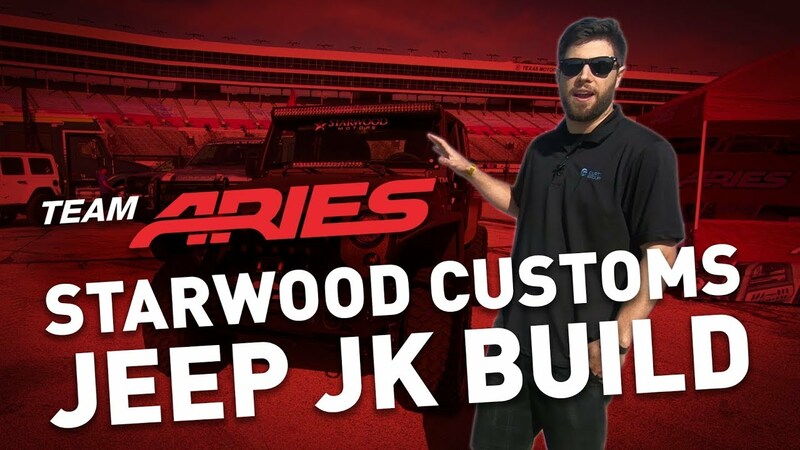 ARIES partnered with Team ARIES Pro Builder Starwood Customs to complete the build.